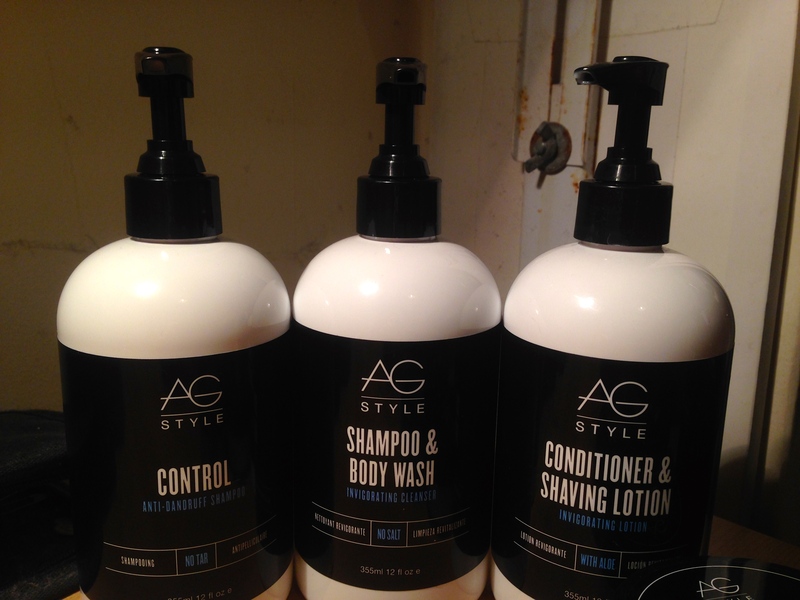 AG Hair starts out with an interesting premise in the way that they formulate and design their product ranges. They aim to create haircare that combines elements of fashion, styling and modern culture, forming a product that fits with modern trends yet remains timeless through its versatility. More importantly, each of the products sold by AG Hair sends a percentage of its profits to help build schools for girls in Africa. 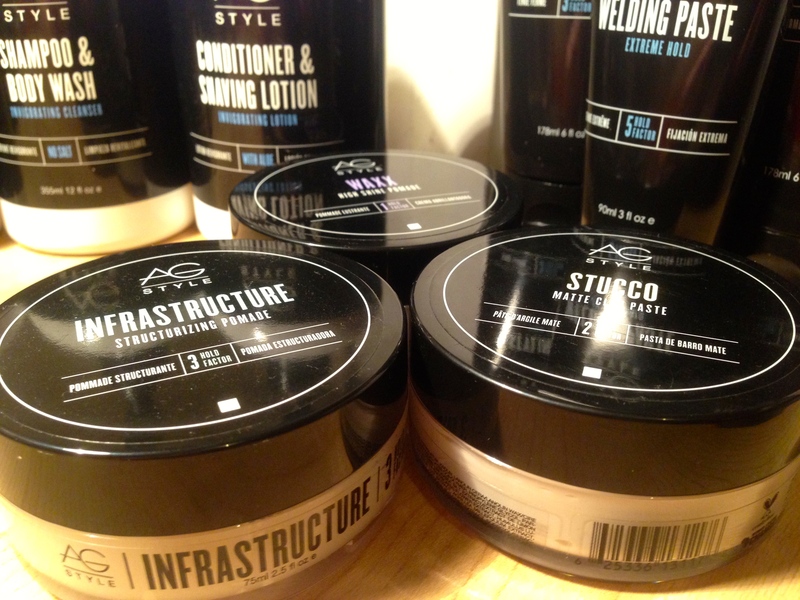 We were intrigued by AG Hair, and so they gifted us a variety of products from their men’s grooming collection to test and trial. We’ve put together a summary of our thoughts and a few of our favourite products based on our usual review criteria. 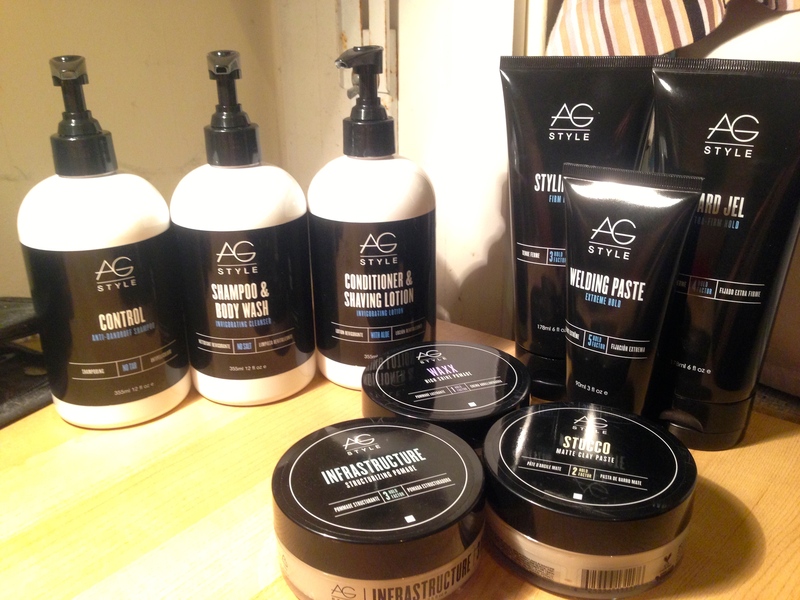 The AG collection starts off with one of its strongest characteristics, providing products that feel great to use and perform to a high standard, consistently. Each of the products, without exception, feels luxurious when applied to your hair with creamy textures and thick lathers that don’t leave residue once washed out. At the same time, they include ingredients that are natural and sensitive to skin meaning that the more we used them, the healthier our hair felt. Favourite Product: Control Shampoo – This is one of the best men’s anti-dandruff shampoos we’ve used so far. Thanks to the fact it doesn’t use tar in its formula, unlike many other anti-dandruff shampoos, the control and care it delivers to your hair is sensitive and in no way severe. The lather is thick and creamy and once rinsed away our scalp felt fresh and clean. Definitely one to stay on our bathroom shelf permanently. If you don’t know already, we’re sticklers when it comes to toiletry fragrances, a bad smelling product can instantly put us off and we’re fairly sure we aren’t the only ones out there. 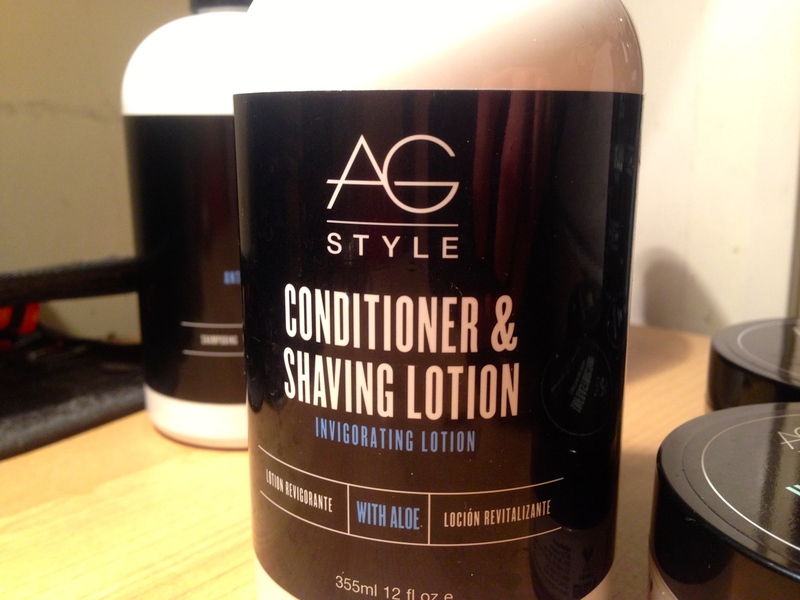 However, the AG Hair range has managed to create scents that embody their product’s message of fashion and care. The fragrances are a mixture of sharp and cool, with notes of menthol, citrus and eucalyptus, to rich and luxurious, using notes strong notes of vanilla. Each instantly wakes you up and leaves you smelling fresh and clean after using them. Perfect for those early morning showers or quick turn-arounds before a night out. Favourite Product: Conditioner/Shaving Lotion – To our mind (and nose) there is something about this product that just makes it a genuine joy to use in our haircare routines. It’s incredibly crisp and sharp on first application and, once washed away, leaves a subtle cooling scent that lasts all day. We love it! Although maybe not the most iconic look we’ve seen on a collection like this, the design of the AG Hair range is simple and elegant. The monochrome style broken up with subtle pastels gives a mature, salon-esque feel to the product range which makes them both look desirable and feel special on the bathroom shelf. The packaging itself is sturdy and not likely to burst if knocked around when travelling. AG haven’t broken any boundaries here, but the style they’ve elected to use is still a great one. This score require a little explanation on our part because with most of the range coming in at around $20.00 per item it’s not necessarily a bad deal for the price you get. However, getting our hands on this stuff was hard because it’s not available in the UK yet. We’re currently putting out a plea to AG Hair to get themselves over here and get selling to the British gentlemen around town. Understandably, it’s a little tougher than packing bags and jumping on a plane but AG should know we’re behind their transatlantic expansion happening sooner rather than later. 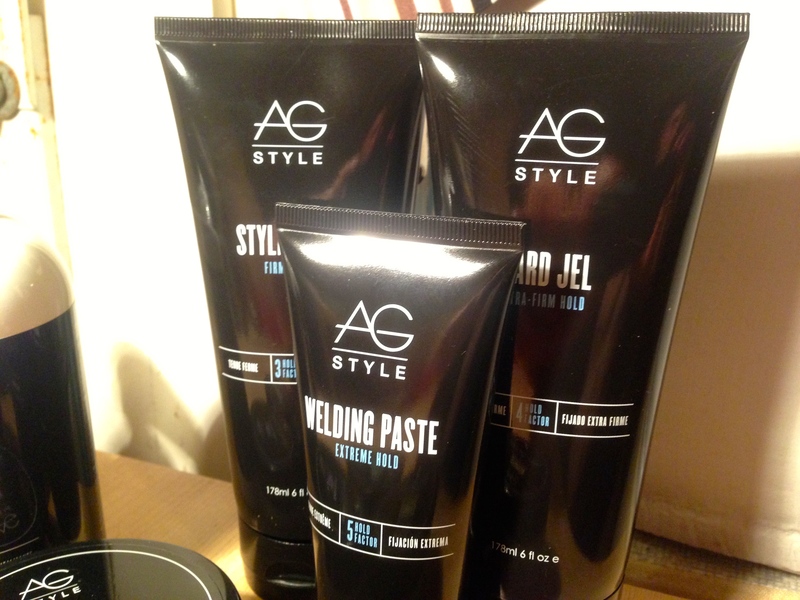 From what we’ve seen, AG hair have delivered on their promise of providing stylish styling for the masses. Their collection goes back to the basics of grooming and provides reliable product performance in an elegant and simple format. A great collection that feels as luxurious to use as it looks. For our US & Canadian readers (of which there are around 5,000+) we strongly advise you go out and give this range a look, it’s definitely worth the investment. For those of us on this side of the pond we must be patient, but we have been informed by AG that their ranges won’t be bound to the US market for long so hopefully our wait won’t be too long.